Maybe They Were Saying Boo-urns? 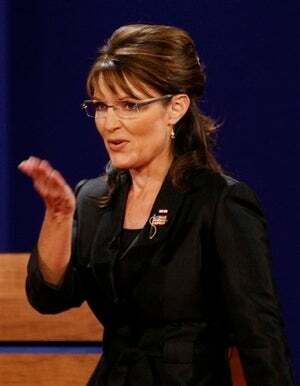 The internet went slightly insane last week when it was announced by Cindy Adams of the New York Post that Sarah Palin would make an appearance on the October 25 episode of Saturday Night Live. "That story is untrue," according to a spokesperson for NBC. Judging by the audience reaction Gov. Palin got at a Philadelphia Flyers hockey game last night, where half the crowd booed her as she took center ice to drop the game puck, one wonders how the SNL audience would have greeted her. Video of the hockey game after the jump.